Dental crowns are used for a variety of different reasons and at Access Dental Care, we can help restore and beautify your smile through the use of crowns. Typically, crowns are used for three main reasons, which include protection for your tooth, the aesthetic look of your tooth, and also as a restorative measure to correct a problem with your tooth. For example, if you have a tooth that has staining or is discolored, a crown can be placed over top of it to cosmetically fix the appearance of the tooth. Another example would be if your tooth is fractured or severely decayed. A crown will be placed over top of it in an attempt to restore your smile. If you are interested in having a dental crown placed on one of your teeth, call our office today to schedule a consultation. When you need to have a crown placed on one of your teeth, you can expect to visit our office anywhere between two and three times until everything is said and done. When you come in on the first visit, we will begin by shaping your tooth and preparing it to have the crown placed on top of it. The shaping process involves exposing the core of the tooth by removing the enamel that is around it. During the shaping process, you will receive a local anesthetic to ensure that you do not feel any pain at all. After your dentist has finished reshaping your tooth, an impression of shaped tooth and surrounding teeth will be taken and then sent off to the dental lab to have the crown made. Before you leave our office, you will receive a temporary crown and it will be placed over top of the tooth to prevent any further damage to the tooth and stop any sensitivity you may be experiencing from said tooth. 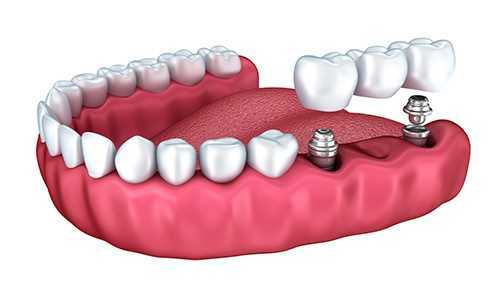 Your temporary crown will function similar to the permanent crown, but will be removed once the permanent crown is ready. Once your permanent crown has been received back from the dental lab, you will come in for a second visit. At this visit, your dentist will remove the temporary crown and then place the new permanent crown on top of your tooth. You will have the opportunity to test out the crown to ensure that it fits well and feels good before it is cemented in place. If any adjustments need to be made, they will be made at this time. Once you and your dentist are happy with the fit of the crown, it will be cemented in place to create a secure bond to your tooth. Crowns will last a lifetime if they are taken care of properly. You should continue to maintain a strict routine dental care plan and have dental checkups twice a year. When brushing your teeth, make sure that you brush the crown to remove any plaque or build up on it. If you ever notice that your crown is loose or it has fallen out, call our office immediately. If you are in need of a dental crown or you would like to discuss having a crown placed over one of your teeth, please call our office today.